There is absolutely nothing like this ice cream. Black walnuts are so much more flavorful than regular walnuts that you will be blown away by this recipe. I harvest my own black walnuts, but you can buy black walnuts online as well. 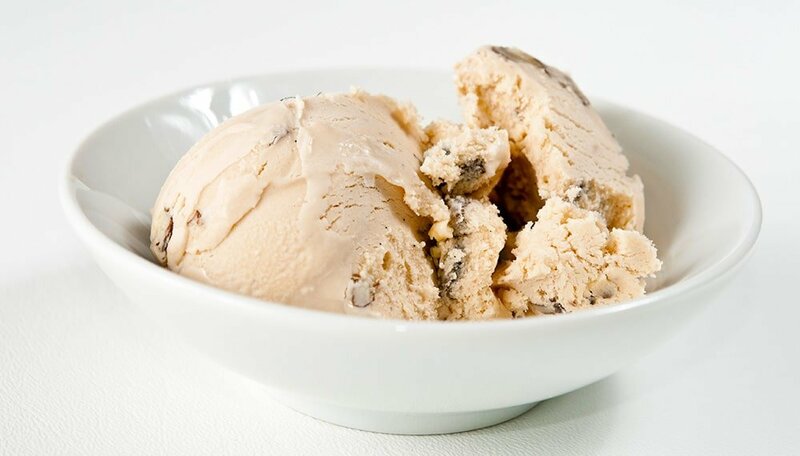 The reason this black walnut ice cream is so good is because black walnuts lend their flavor to fatty things, like cream, much better than regular walnuts. I am not sure why, but it seems to be the case in my experience. Can you use regular walnuts to make this ice cream? Yes, but it will not be the same. Nothing beats wild walnuts. 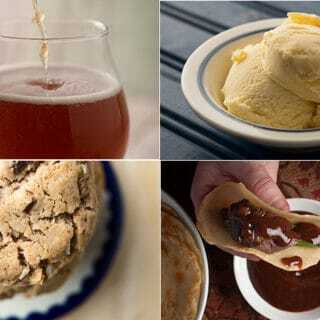 For my recipe, I do a black walnut double-dip: First I infuse the cream with the nuts, which gives it flavor and a little color, and then I add those walnuts back in the final ice cream, which is itself enriched by several egg yolks. It’s roll-your-eyes-back-in-your-head good. This recipe and method works with any nut. Heat the cream, milk, sugar and walnut pieces in a heavy-bottomed pot to 170 degrees, or to the point at which it steams but does not simmer. Turn off the heat, add the vanilla bean and the scraped insides of the bean, stir well and cover. Let this cool for 1 hour. Move the mixture to a container and refrigerate for at least 4 hours, or up to overnight. Strain the mixture to remove the vanilla bean and the walnut pieces. Reserve the walnut pieces and set them in the fridge. Heat the strained mixture to 160°F. As it is heating, beat the egg yolks to combine. When the cream has hit its temperature, you will need to temper your eggs so they don’t scramble. One hand holds a ladle, the other whisks the egg yolks: Pour in a little hot cream with one hand, whisking vigorously with the other. Pour in 2 ladles full, then pour the egg-cream mixture into the pot and stir well. Cook this gently, stirring often, for 5 minutes. Do not let it simmer. Strain this one more time and chill the mixture down at least to room temperature before putting into the ice cream maker. Churn it until it has the consistency of soft-serve ice cream, then remove to a large bowl and gently fold in the reserved black walnut pieces. Freeze and eat! Note that the prep time does not include chill time or the time it takes to churn your ice cream. You can find more recipes for wild nuts and other sweet things made with wild ingredients here on Hunter Angler Gardener Cook! I’m looking forward to trying this recipe. 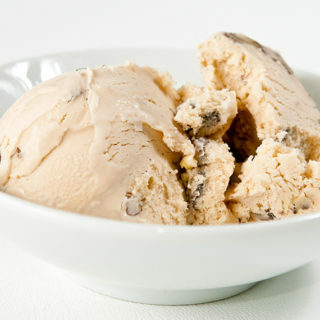 Black Walnut ice cream was a favorite of mine back in the 1960’s from the local dairy in my home town in Louisiana, MO. I purchase my black walnuts from the local Amish or the Mennonite stores in Adair Co. MO when I travel back to visit relatives. Both sects have communities in the area. Also found these in the Jamesport MO store while travelling through. I always support these stores. They are known for great quality and prices on bulk food items. Hey honest-food.net, I’ve got a question. My girlfriend and I are making this ice cream, and I’ve found a something I don’t get. Hopefully the article isn’t so old that you couldn’t respond. Now I’ve never made ice cream before, right? But most other recipes I’ve found don’t make you chill the cream, milk, sugar, walnut mixture for 4-8 hours before adding eggs. Usually it’s just combine everything, chill, put it in the machine. The only reason I could see is to let the flavors meld possibly, but the extra time is kind of annoying at least for our situation. So bottom line, why are you having us chill the cream, milk, sugar, walnut before adding the eggs? Garrett: To infuse the walnut flavor into the cream. How many eggs for a half gallon and a gallon please? Shirley: Scale up the recipe as you need it. If it comes to less than a full egg, err on more egg, not less.